You’re ready to sell your current home, but haven’t considered what will happen to your solar panels? 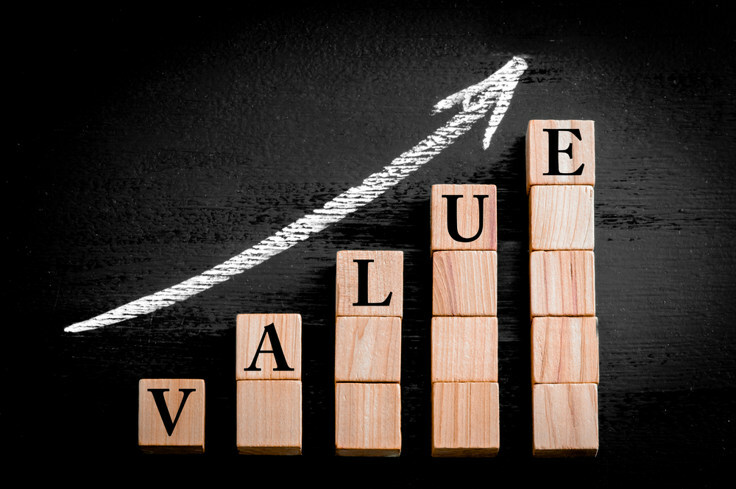 Are you wondering whether they will reduce or increase your home value? This post will enlighten you on how to make selling a house with solar panels possible and how to tackle the various problems that may surface. Solar panels are an extremely good asset to have for your home. Mainly because you’re doing your bit for the environment. A great bonus, however, is that you receive payments from the ‘Feed in Tariff’ which is made to households that generate their own electricity through solar panels and other energy-saving methods, proportionate to the total power produced. The Feed in Tariff (FIT) is paid for around 20-25 years, depending on when the panels were installed. 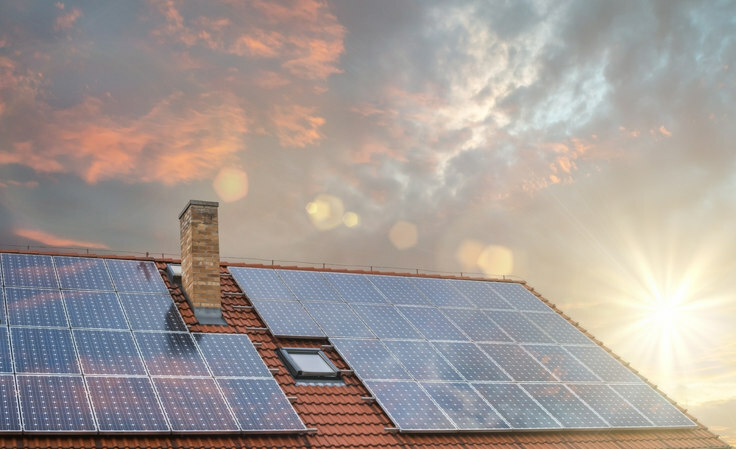 Therefore, if you sell your property after you’ve ‘paid them off’ and received some interest from the solar panels, it is likely that there will be many more years of FIT payments to come – which is appealing to potential buyers. Solar panels reduce energy bills by a huge chunk, which is a great bonus for whoever buys your home, as they will not have to pay high bills. It is an eco-friendly method of generating energy which is beneficial for the planet as it avoids having to use the scarce natural resources our planet has left. We all want to do our bit for the environment, including potential home-buyers. The energy performance certificate grade usually goes up by 2 grades due to the installed solar panels. This is beneficial for any home and will certainly attract purchasers. When is the Best Time for Selling a House with Solar Panels? The best time to sell a house with solar panels is typically after you’ve reaped a lot of the benefits that solar panels have to offer. Mainly the FIT payments and the low energy bills. If you bought your solar panels (instead of having them installed for free from various solar panel companies), then it takes roughly 7-8 years to come even with the investment. So, from 8-15 years after having installed the solar panels, is the time to sell your house, if you wish to do so. This is because, whoever buys your home next, will still be able to benefit from them. Solar panels typically have 20 years warranty too, which will further appeal to potential buyers. The process is much simpler if you own the solar panels on the roof of your home. This is because it means that you are not tied down with any contracts that you must pass to the potential new owners of your home. The decision you must make, however, is if you would like to take your solar panels with you to your next home. If that is the case, do not forget that you will need to pay a lot of money (ranging from £2,500 – £7,500) to have the solar panels removed and reinstalled to your new home. Furthermore, you need to double check that you can logistically and legally fix them on a new roof – so be sure to check this before you make any irrational decisions. If you decide that you do not want to keep the solar panels and leave them fixed to the house you want to sell, it’s likely that the house will sell without a problem. The main problems selling a house with solar panels occur if you’ve had solar panels installed for free. This is a bit trickier. This is because the solar panels were installed for free but for the price of the solar panel company owning the roof of the house. This can put off some home-buyers. 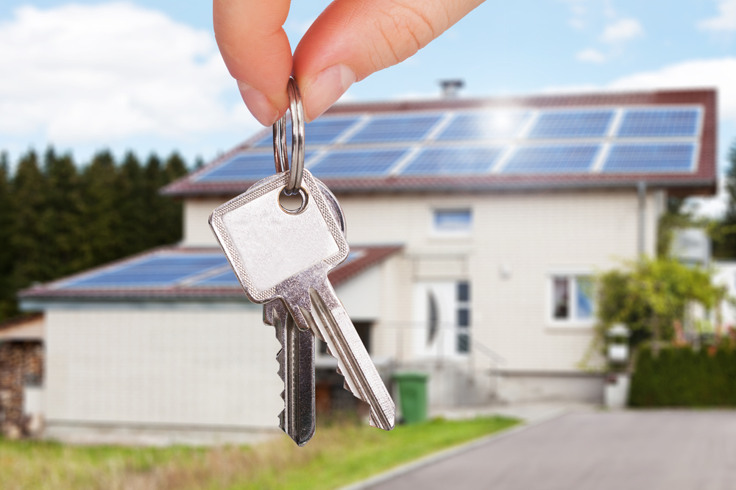 So, there are two realistic options that you can go through with – either buy off the lease from the solar company before you sell your home to avoid problems, or simply transfer the lease to the home buyers if they are happy to do so. If you have further problems selling a house with solar panels, and need to sell your home fast – why not sell your house with us? Check all documentation that you have from when the solar panels were installed, make sure you have all the facts and figures that you need to either pass on the lease or to have as proof for the next home-owners. Be sure that, before you put your house on the market, the solar panels are in perfect condition and that they are still working. If you are receiving FIT payments, be sure to keep the proof of how much you roughly save each month, to be able to prove it to potential home buyers as this will interest them greatly and may convince them to buy. Find an estate agent that has experience with selling homes with solar panels and is aware of their true value. Consider selling your house with SellHouseFast as we buy any house, in any condition and can complete the whole process in up to 28 days. 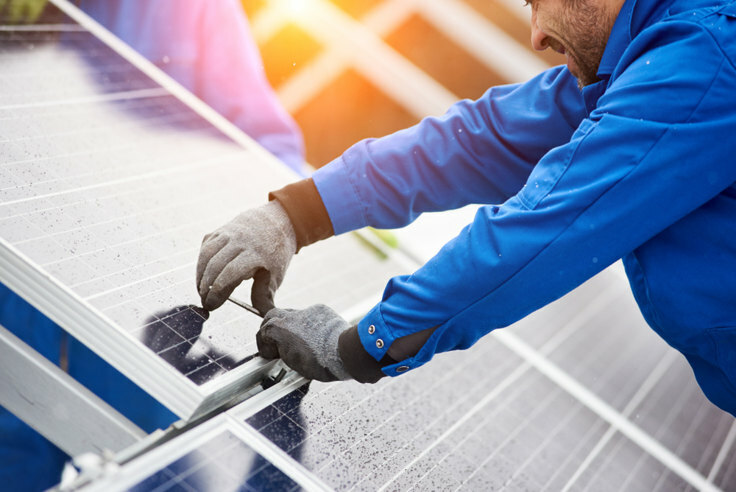 Keep in mind that if you install solar panels after the 31st March 2019, that you will not receive the Feed in Tariff, which may make selling your home harder in the long run as home owners will not receive the full perks of having solar panels.